Taxi drivers in Sri Lanka’s capital held up traffic today, demanding the government should stop allowing anymore use Tata Nanos on the streets that offer stiff competition to the ubiquitous three-wheelers. Hundreds of three-wheel taxis choked parts of the city for over an hour to protest against a taxi company, linked to a ruling party politician, from using a fleet of Nanos. The politician was seen at the wheel of a Nano with President Mahinda Rajapaksa at the passenger seat this week after Nano Cab company launched the cheaper taxi service earlier this month. 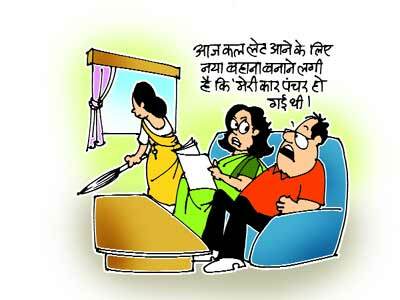 The Federation of Self-Employees (FOSE) said their members would lose business if the Nano cabs were allowed to expand. The cab company had said it wants to increase the current fleet of 45 to 200 by the end of the year. FOSE said President Rajapaksa had promised in his election manifesto to grant them tax concessions to help reduce environment pollution caused by the Indian-made three wheelers, which have become the common man’s taxi. The Nano service is offered at a lower price than air-conditioned cars and their fares are comparable to three-wheeler charges. “we are going to lose our jobs and the Nano cabs will take over our taxi stands,” a spokesman for the protesters said. Nano, although considered the world’s cheapest car, in Sri Lanka costs about Rs 3,81,204 (INR) and Rs 9,31,345 in Lankan Rupee ($8,500), nearly three times more than its cost in India. 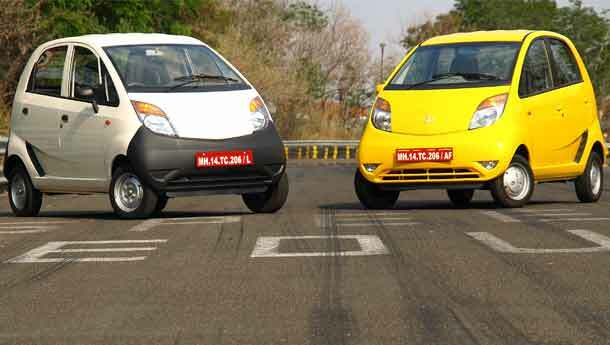 Tata nano bookings likely to be cancelled after first lottery. Auto analysts and business analysts in India fear that Tata Nano may face booking cancellations after the first round of lottery winners is announced. Tata Nano has received about 203,000 bookings for its models but the company has capacity to manufacture on 50,000 cars from its Uttrakhand plant in Pantnagar. The mother plant in Sanand will be completed early next year and is expected to become fully operational by first quarter of 2010. The lottery will be completed by the end of the next month when names of first one lakh lucky Nano owners will be announced. Tata Motors will start deliveries from July 2009 and will be able to deliver only 50,000 cars by end of December 2009. “Bookings beat expectations but the company may not be able to retain orders going ahead,” said Mahantesh Sabarad, an analyst at Centrum Broking in Mumbai. Further the analysts also expect that the pricing is not competitive and expected that nearly one-third of outstanding bookings may be cancelled after the lottery.